Q. How do I find out if the library has a specific journal I'm looking for? 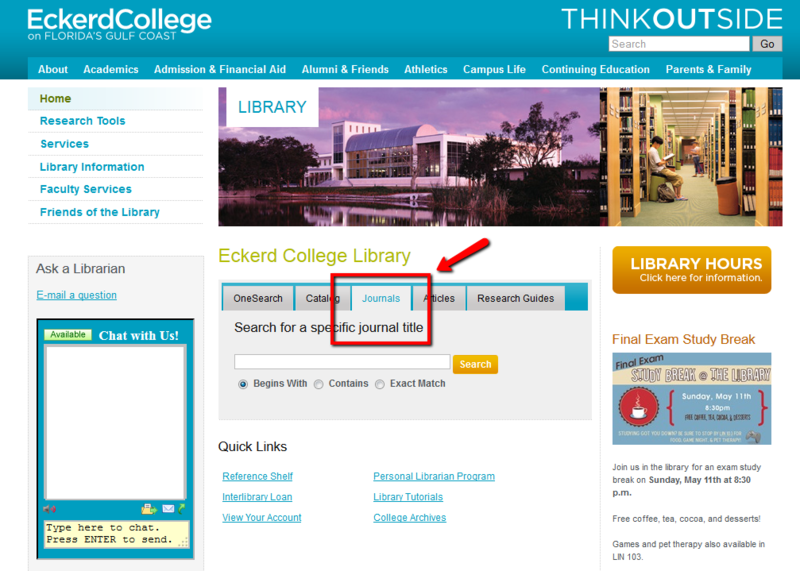 You can search for a specific journal through the Eckerd Library web page. Right above the search box on the library's main page, click on the tab "Journals." You can then enter the journal's title and click one of the options: "Begins With," "Contains," or "Exact Match." Then, click the Search box. This will open up a page of results, showing if we have the journal and what years are available. 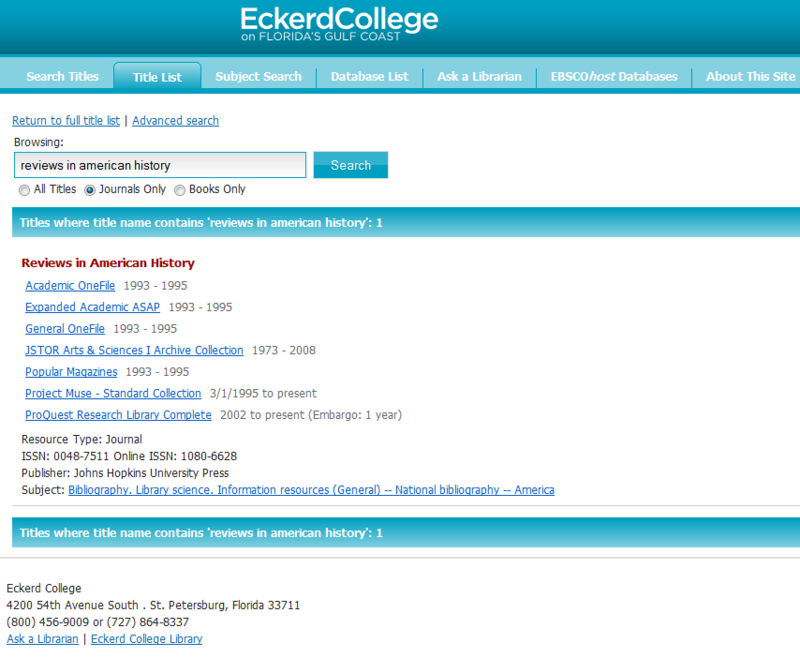 In the example below, we searched for the journal Reviews in American History. It is available in several linked databases. Next to each database are the dates listed for years available. In this example, you can note that if you needed an article from the 1970s you should select JSTOR. If you needed a recent article, you should select Project Muse.